Veronality was born in 2014. 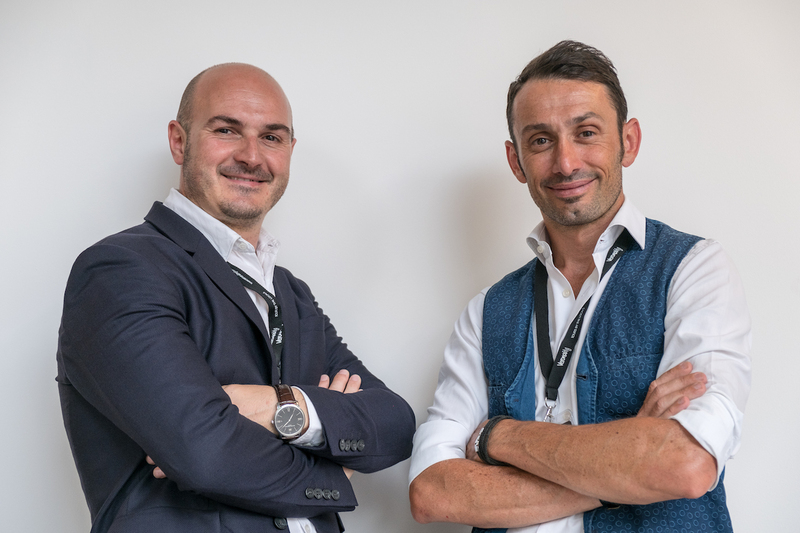 Two friends, Matteo Pasqualotto and Andrea Rigo, had the dream to share their love for Verona with the entire world. The understood that this city has a lot to offer and they got the idea of Veronality. Here, tourists can discover the city lead by guides and persons who grew up here and who can show their passion for the old town, for the wine regions and Garda Lake. This is the ideal way to get to know Verona: walk through the little streets around the Arena, dive into the clear and fresh water of the lake, taste the famous Amarone during a wine tasting in the beautiful Valpolicella region. Each Tour made by Veronality is lead by a different team member, specialized in that activity. In this way, every experience is a gift to live Verona as the locals do: unique and authentic. Le 10 migliori cose da fare a Verona? region sourrinding it and on the possibility to have a wine Tour with us. Since 2015, Veronality has won the Certificate of Exellence on TripAdvisor. international network of 10 cities around the world famous for wine services. foused on helping tourists to discover what experiences a city can offer. NATIONAL GEOGRAPHIC, EUROPEAN AWARD WINNER. Activissimo is a Tour Operator who works in the field of Active Tours and outdoor activities. The brand was born from the expertise of two Verona companies: Veronality and Simonetta Bike Tours. Activissimo offers half-day and full-day experiences, which take place on foot, with e-bikes, with rubber dinghies. It's a way to leave the city center behind and experience nature, taste some local products, share the passion for an active life with the "slow" philosophy: green and sustainable. Verona has a lot to offer outside the city walls: landscapes with vineyards and olive trees; Lake Garda, the largest in Italy; the Adige river; the Natural Park of Lessinia and much more. Activissimo's guides are expert and passionate. The routes are designed and tested. The partners are chosen for their quality and their love for the territory. Come explore! The bond that Verona has with good food is something really important to better understand the city. This connection can be found in La Soffritta, the Veronality dimension all focused on cooking. La Soffritta is a kitchen convinced to be a loft and it is the perfect place to host who wishes to learn to make typical dishes of italian and Veronese kitchen. People coming from all around the world can make and taste appetizing foods. Locals can also find here the perfect way to celebrate and important event, or to get to know other persons during our Social Cooking evenings.